Whirlpool bathtubs are wonderful and can offer people relief from aches, pains, and especially STRESS. Oftentimes, soaking in warm water in the tub can have a therapeutic effect on the muscles and joints. The warmth from the warm water and jets are an effective way to decrease inflammation of overworked, tired muscles and bones. People who suffer from neck, back, and shoulder pain can reduce stress and feel like themselves again. 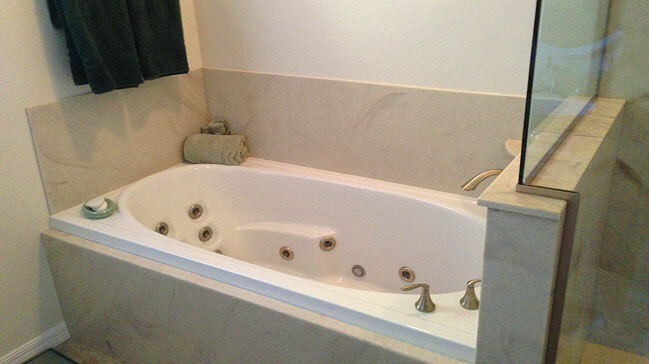 Sometimes just THINKING about a calm, quiet place, such as your whirlpool tub, can instantly relieve stress! Regular users of whirlpool bathtubs report having longer lasting and better quality sleep when they take a bath before bedtime. The hot water and jets relax the muscles and unwind the mind, getting the person’s entire body and soul ready for sleep.